The city of Miami Gardens was named after the major roadway known as Miami Gardens Drive. It is a suburban city located in Miami-Dade County with a population of 112,514. Miami Gardens has a high percentage of African-American residents and includes the neighborhoods of Lake Lucerne, Opa Locka North, Bunche Park, and Carol City. Approximately 42% of its population is employed, commuting an average of 30.7 minutes per day to their jobs. Miami Gardens is a middle-class community and is located near the major roadways of I-95 and Miami Gardens Drive. Consistent with most cities in Miami-Dade County, Miami Gardens has a considerable number of cars travelling on its roadways each day. Whether it is commuter traffic from residents or from those living in neighboring cities, Miami Gardens experiences a significant amount of traffic congestion on their local and main roads. As a result, residents of Miami Gardens may become victims of car crashes that occur due to high speeds, driver negligence, stop and go traffic, or accidents occurring at intersections. Car crash victims may suffer from injuries, property damage, or lost wages as a result of their accident. If you or a loved one have been the victim of a car accident, contact the Miami Gardens car crash attorneys at the Wolfson Law Firm at 305-285-1115 for a free consultation. Intoxicated drivers who get behind the wheel can cause devastating injuries and property damage to themselves, their passengers, and other motorists on the roadways. Accidents that occur due to intoxication can cause serious, if not fatal, injuries. Drivers who are operating their vehicles while they are impaired may not have the quick reflexes to attempt to prevent the accident. They may not be able to judge distance and speed correctly, which can cause them to run red lights, travel in the wrong direction, or miss road signs. Often times, they are travelling at high speeds, making the impact of these crashes dangerous and sometimes deadly for all parties involved. Intoxicated drivers who cause accidents can suffer severe penalties. Accidents of this nature can cause extreme emotional, physical, and financial stress on its victims, especially when the accidents cause fatalities. Victims are encouraged to not accept quick settlements offered by insurance companies and to seek legal counsel from a knowledgeable drunk driving accident attorney. Many times, physical and emotional injuries can be extensive and not always apparent when the accident has occurred. Obtaining legal representation can help victims of drunk driving accidents receive the compensation that they need to restore their lives. 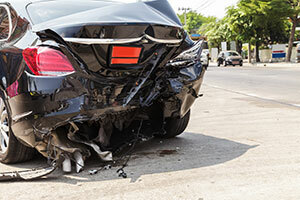 How Can Our Miami Gardens Car Crash Lawyers Serve You? Negligent driver car crash lawyer in Miami Gardens. The Wolfson Law Firm proudly serves clients in the city of Miami Gardens, as well as its surrounding communities of Opa Locka, Hialeah, North Miami, Pembroke Pines, and Miramar. If you or your loved one have been injured in a car accident, contact the car crash lawyers of Miami Gardens at 305-285-1115 for a free consultation. The attorneys at the Wolfson Law Firm can help you to navigate your case and get back on the road to recovery.